How Do You Rate a CEO? I bet if you ask 10 people how to rate a CEO, you’ll probably get 10 different answers. There really is just one way, though. You rate them the same way you rate athletes, entertainers, doctors, attorneys or anyone else, for that matter. Including yourself. One word: Performance. In the case of CEOs – who are ultimately responsible for corporate performance, don’t you know – you rate them by the metrics that matter: revenues, profits and shareholder value. Simple as that. At least, that’s what goes in the debit column. If you want, you can throw their compensation in the credit column and compare. I’ve known some pretty incredible CEOs in my time. 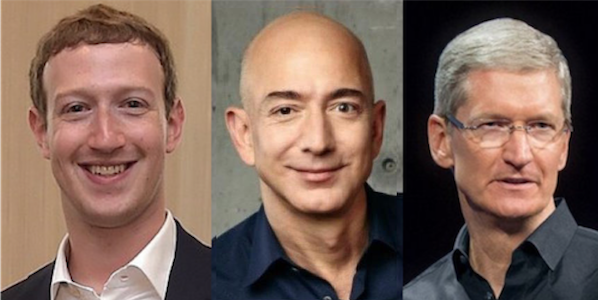 In the public world, you’ve got to say guys like Tim Cook, Jeff Bezos and Mark Zuckerberg are about the best we’ve got, based on those metrics. Hell, I’m not sure any of those guys even makes a dime unless the stock goes up, so that’s sort of a bonus, don’t you think? On the other hand, I’ve know some pretty lousy CEOs who milked their companies for countless millions for years and years without adding so much as a dollar of shareholder value. Just ran their companies off a cliff, into the ground, whatever metaphor you like. You can certainly check out any of my Worst CEOs posts for some of those depressing names. I was a CEO for a bit. Want to know how I did? Not very well. I was brought in by the VCs to fix InLight Communications, a Silicon Valley startup that had somehow managed to squander half the $14 million it raised in Series A funding without delivering so much as a working prototype. That was in 2000. Recognize the year? That’s right, the dot-com crash. I took the job anyway. Bonehead move. I managed to get a decent leadership team on board and reposition the company but failed to raise a Series B round before the clock ran out on our cash. How did I rate? Pretty lousy, if you ask me. Sort of a poor man’s Marissa Mayer. She tried everything too at Yahoo. Same result. Nada, pretty much. But then, I made my peace with that long ago. It reminds me of a Dobie Gillis episode I saw at like 3 a.m. once. Dobie’s teacher taught him that “a man’s reach should exceed his grasp,” courtesy of Robert Browning. When the teacher kept pushing him, Dobie lashed out with something like, Who are you to push me, you’re just a teacher. So the teacher pulled a fat manuscript out of his desk drawer. Apparently he’d tried to write the great American novel, except none a single publisher thought so. And he made peace with thtat. The point is, if you reach and fail, it’s ok to decide that reaching further is probably not going to work out and just be happy with what you’ve got. I’m pretty happy with what I’ve got. You?